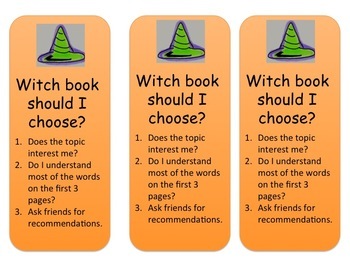 This download is a fun, Halloween bookmark that gives steps to choosing a great book. You can give these bookmarks in a treat bag at the end of October, possibly with a sweet treat. Students will love using this bookmark to choose books and to mark their pages!